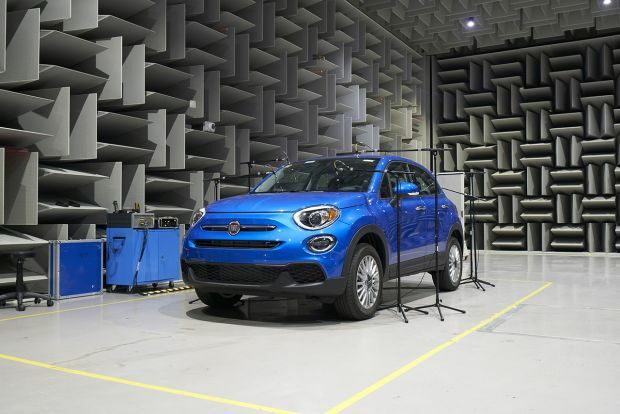 The 500X Mirror, 500L Mirror and 500 Mirror special series implement the most recent technological innovations to connect a smartphone to the Uconnect Infotainment system. UconnectTM 7″ HD (with high-resolution touchscreen) is Apple CarPlay-ready and compatible with Android AutoTM to mirror the environment of a smartphone on the on-board display, so the drivers can keep their hands on the wheel to the advantage of connected and safe driving. The three special series models in the Mirror line-up are characterised by their cool blue liveries which hint to the world of technology and connectivity also in the look. The all-new 500X Mirror stands out for its one-of-a-kind Blue Jeans matte colour, satin chrome details, “Mirror” badge on the pillar, 17-inch black diamond-finish alloy rims and Xenon headlights. Inside, the exclusive matte Blue Jeans colour extends to the dashboard fascia and special new seat upholstery with blue stitching accents. Exclusive on the 500L Mirror is the new two-tone Venezia blue paintwork and Maestro grey roof, chrome details, “Mirror” badge on the pillar, fog lights and 17-inch diamond-finished alloy rims, the latter an optional extra. The 500 Mirror, dedicated to Millenials, is back sporting a striking new outfit. 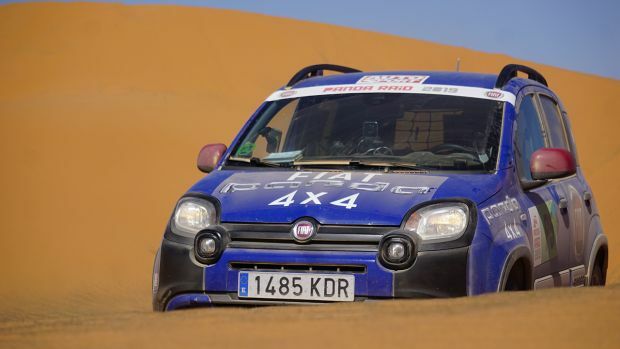 Available in all the colours of the 500 range with the addition of Italia Blue, the new version has chrome-plated accents on the front bumper and mirror caps, alloy rims and fog lights. Two versions are available: hatchback, with glazed roof, and convertible. Mopar® Connect, the innovative set which includes services such as rescue in case of accident and being able to lock and unlock the doors remotely using a mobile phone, secures more safety on the road to users together with peace of mind and control within the reach of a smartphone. 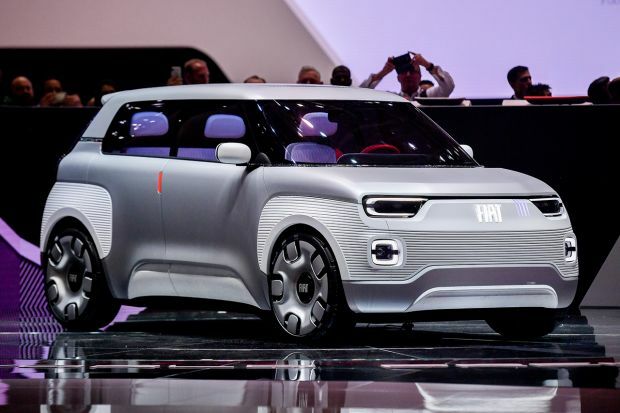 It is available for the first time on a Fiat model. 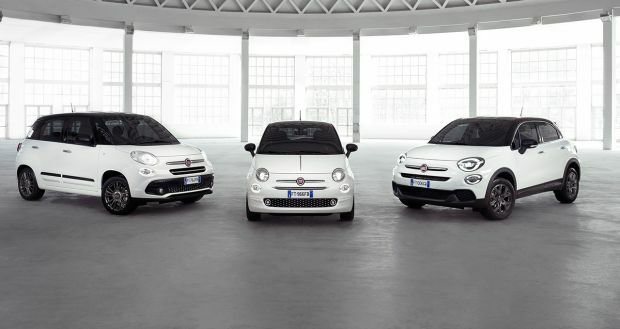 Orders for the new 500 Mirror, 500X Mirror and 500L Mirror special editions – dedicated to customers interested in the world of connectivity and implementing most recent trends in the field of infotainment – open in Fiat showrooms today. In the wake of the success of the 500 Mirror launched last April, the range dedicated to the UconnectTM LINK technology – i.e. CarPlay-ready and Android AutoTM-compatible – is being extended to other two new models from the 500 family to bring all the advantages of connected and safe driving to an even wider public. Each model has a special look and is packed with equipment. The Mirror special edition models fit the sophisticated UconnectTM 7″ HD Live system, which is Apple CarPlay-ready and compatible with Android AutoTM as standard equipment. This important evolution will satisfy everyone looking for better connectivity between car and personal devices. 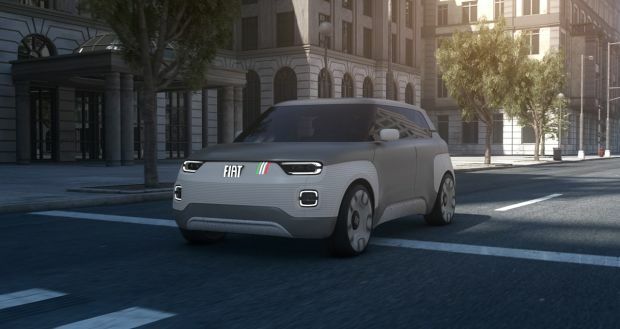 Furthermore, the innovative Mopar® Connect, which combines remote assistance services and control functions to guarantee the peace of mind on the road and constant control of a smartphone, is appearing for the first time on a Fiat model. The 500 Mirror, 500X Mirror and 500L Mirror special edition models come with next-generation UconnectTM with high-resolution 7″ touchscreen, Bluetooth hands-free interface, audio streaming, text reader and voice recognition function, Aux and USB ports with iPod integration and controls on the steering wheel as standard. Rear parking camera (on 500X and 500L only) and new TomTom 3D integrated navigation system are available on demand. Furthermore, users can stay connected with UconnectTM LIVE services. By downloading the free UconnectTM LIVE app from the App Store or Google Play Store to their smartphones, they can fully exploit the benefits of UconnectTMLIVE, which includes music streaming with Deezer and TuneIn, news from Reuters, connected navigation with TomTom LIVE and can keep in touch with friends via Facebook Check-in and Twitter. Finally, with eco:Drive and my:Car, saving and environment-friendly running will be constantly under control, wherever the customer wants to go. Perhaps the most special feature of UconnectTM in the Mirror versions, is the integration of Apple CarPlay – the smartest and safest way to use an iPhone while driving – and is compatible with Android AutoTM, the new infotainment system to exploit all the functions of Google. Apple CarPlay shows road directions optimised according to traffic conditions and it can be used to make and receive phone calls, open text messages and play music while remaining focused on the road. The system is also compatible with Android AutoTM, to continue the Android experience in the car, by “projecting” apps and services of the central display and is designed to make retrieving information while driving easy and safe. The driver may use Google MapsTM to receive road directions and easily access music, multimedia content and the favourite messaging applications. Easy, immediate interaction with devices guarantees the convenience of maintaining the same operating system even in the car, for constantly connected and safe driving, and means great quality of life on-board as well as improved ergonomics. Android Auto, Google Play and Google Maps are trademarks of Google Inc. Introduced for the first time at the Geneva Motor Show in 2017 and marketed from the month of April as the ideal car for Millenials who love technology and are always connected, 500 Mirror is now back with refreshed features. Available as convertible or hatchback (with glazed roof), the new special series is characterised on the outside by the chrome-plated mirrors, front bumpers with chrome-plated details, the “Mirror” badge on the pillar and the exclusive Italia Blue livery (optional). Furthermore, customers can equip their vehicles with 16-inch alloy rims and fog lights. Inside, in addition to UconnectTM 7″ HD Live, which is CarPlay-ready and Android Auto-compatible, the car has a bolder characterisation with specific new seats available as optional equipment. The 500 Mirror is available will all the engines of the 500 range. Both based on the Pop Star trim level, the other two new 500X Mirror and 500L Mirror special editions are a perfect blend of style and technology, characterised by exclusive colour combinations and specific standard equipment. The 500X Mirror, for instance, has a new Blue Jeans (available on demand) matte livery and sophisticated satin-chrome details, including exterior handles, side mouldings, fog light bezels, mirror caps and roof bars, the latter on demand. The look is accented by the “Mirror” badge on the pillar, elegant 17-inch black diamond-finish alloy rims and efficient Xenon headlights. The same fresh and young appeal continues on the inside where the exclusive Blue Jeans dashboard fascia meets the new seat upholstery with blue stitching. Finally, the 500X Mirror engine range features the 1.6 e-TorQ 110 HP petrol, the 1.3 Multijet II 95 HP and 1.6 Multijet II 120 HP turbo diesel, also with DCT and the bi-fuel petrol and LPG 1.4 T-Jet 120 HP. 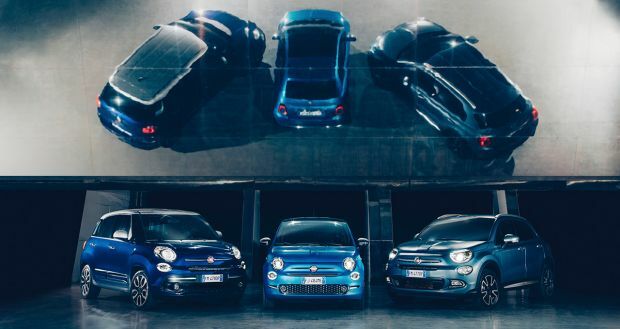 Equally exciting is the 500L Mirror, which will be introducing a new two-tone Venezia blue and Maestro grey roof combo with chrome elements and matching Maestro grey mirror caps. The end result is charming and visually evokes the high-tech world. The result is “certified” by the brushed aluminium “Mirror” badge on the pillar. Fog lights and 17-inch diamond-finish alloy rims (available on demand) complete the special edition. Finally, also available are Bellagio Blue, Gelato White, Cinema Black, Moda Grey and Maestro Grey colours paired with the black and white roof and chrome mirror caps. The Fiat 500L Mirror has an engine line-up picked to suit the specific needs of customers, featuring the 1.4 95 HP petrol, the bi-fuel petrol and LPG 1.4 TJet 120 HP and bi-fuel petrol and methane 0.9 TwinAir 80 HP Natural Power, as well as the 1.3 MultiJet 95 HP, also with Dualogic transmission, and 1.6 MultiJet 120 HP diesel. In the digital era, huge amounts of data must be exchanged in real time and monitored using connected devices and user-friendly interfaces. Mopar® Connect follows this principle offering an array of additional services that customers can manage using the Uconnect LIVE app. The most interesting include road rescue, help in case of an accident and the possibility of remotely controlling the door locking and unlocking function. Other features include locating the vehicle in case of theft, sending an alert if a certain speed limit is exceeded or if the vehicle leaves a zone previously delimited on a map. Finally, Mopar® Connect shows the position of the parked car and can be used view information on its conditions (fuel level, battery charge, tyre pressure). Mopar Connect® is integrated with the Uconnect LIVE connected services (my:Car, eco:Drive, G:Skills and TomTom LIVE). These are complemented by two new services: my:Assistant and my:Remote Control. For example, with my:Assistant, in case of a road accident, Mopar® Connect detects the emergency and calls an operator who will help to activate rescues. A similar procedure is implemented in case of theft: the device detects that the car is moving without a key in the ignition, activates assistance and sends the car data to the Operations Centre. 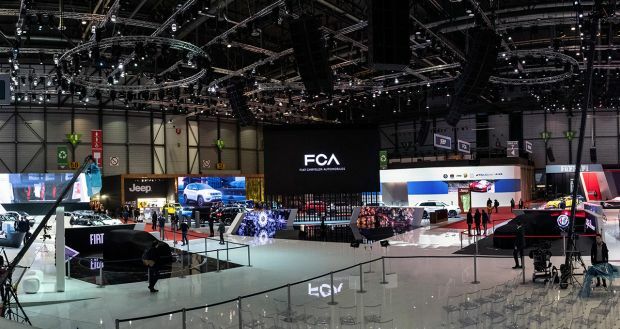 FCA Bank, the bank specialised in automotive financing, will be by the side of Fiat to support the launch of the 500 Mirror family, offering the best solutions to facilitate purchasing and rentals to retail customers, professionals and businesses. Full-service solutions, like long-term rental, typically available to business customers, are now also offered to retail customers so they can enjoy all the pleasure of driving with no worries or concerns. Furthermore, all available packages can be paired with exclusive insurances solutions with a high added value for owners and their cars to satisfy all mobility needs. Every European market in which FCA Bank operates will adapt its offering to better suit the needs of the reference targets.